Brent oil hit a 2019 high above $72 a barrel on Wednesday, propelled by steady economic growth in China and a fall in US crude stocks which defied expectations and signalled firm demand, while global supply remained tight. International benchmark Brent crude futures were up 20 cents, or 0.28 per cent, at $71.92 in intraday trade, having hit an intraday peak of $72.27. US West Texas Intermediate (WTI) crude futures were at $64.39 per barrel, up 34 cents or 0.53 per cent and just shy of a 2019 high of $64.79 hit last week. China's economy grew by 6.4 per cent in the first quarter, official data showed, defying expectations for a further slowdown and assuaging global markets as a US-China trade deal also appears near. Refinery throughput in China - the world's second-largest crude user - rose 3.2 per cent in March from a year earlier. "The demand side of the equation got a substantial fillip via today's China data suggesting prices will continue to move higher on improving global growth and risk sentiment," said Stephen Innes, head of trading at SPI Asset Management. Prices have been supported this year by a pact reached by the Organization of the Petroleum Exporting Countries and allies, including Russia, to limit their oil output by 1.2 million barrels per day. Global supply has been tightened further by US sanctions on OPEC members Venezuela and Iran. 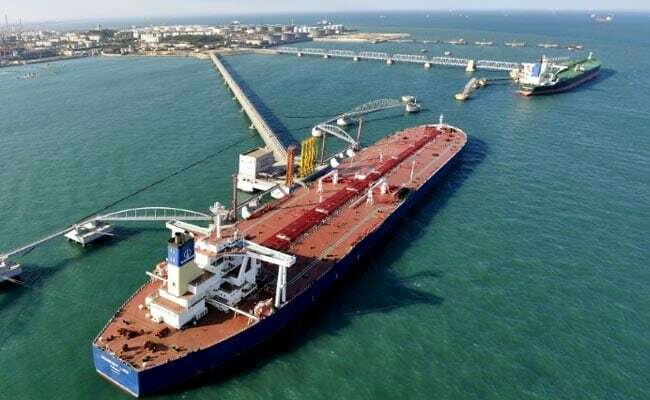 Iran's crude exports have dropped in April to their lowest daily level this year, tanker data showed and industry sources said, suggesting a drawdown in buyer interest ahead of expected further pressure from Washington. "Buyers are shying away in view of US policy uncertainty regarding waivers to import Iranian crude oil," BNP Paribas strategist Harry Tchilinguirian told the Reuters Global Oil Forum. In June, OPEC and its partners will decide whether to extend their agreement, but Russia's willingness to stick with the cuts now looks less clear. Gazprom Neft, the oil arm of Russian gas company Gazprom, expects the global oil deal to end in the first half of the year, a company official said. "Hints from Moscow to abandon self-imposed supply restrictions have cast a cloud of uncertainty over the OPEC+ production strategy in the second half of 2019," said Stephen Brennock of oil broker PVM. An unexpected drop in US crude inventories also supported oil prices. Stockpiles fell by 3.1 million barrels in the week ended April 12, data from the American Petroleum Institute (API) showed. Official data on US inventories from the Energy Information Administration is due on Wednesday.